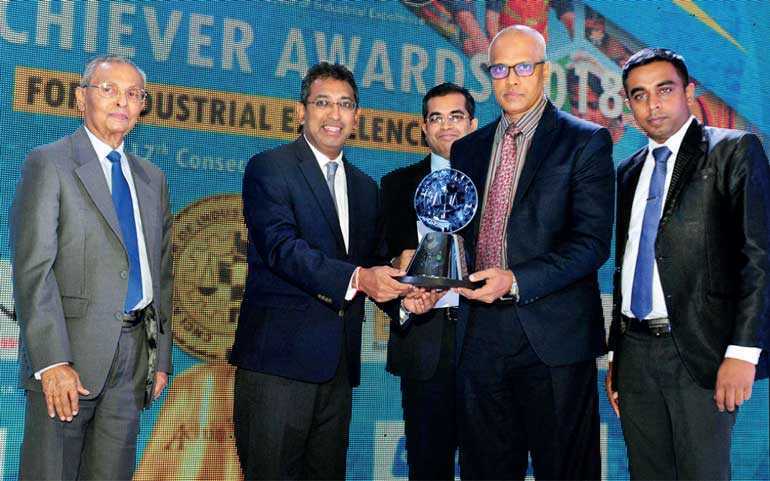 Teejay Lanka PLC, Sri Lanka’s only multinational textile mill and the region’s largest textile manufacturer, recently won a Top 10 Achiever Award and the Silver award in its category, at the CNCI Achiever Awards presented by the Ceylon National Chambers of Industries (CNCI). This is the second consecutive year that Teejay was recognised for industrial excellence at this prestigious awards event. The company received the Silver Award at National Level in the Extra Large Category of the Manufacturing Sector, besides securing a place among the Top 10 Corporates honoured. Teejay Lanka won the National Level Bronze Award in the same category, last year. 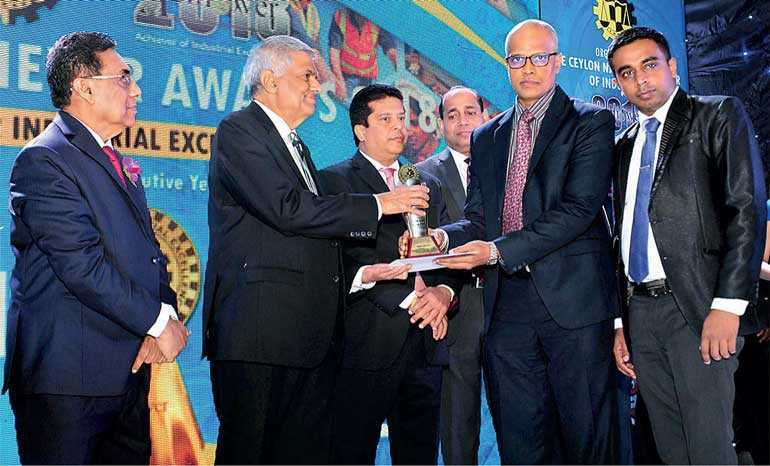 These awards underline Teejay’s standing as one of Sri Lanka’s leading manufacturing entities, and acknowledge continual achievements and contributions to its sector and the national economy. The recent expansion of Teejay India, leading to doubling of production capacity in India and increasing the overall manufacturing capacity of the Group to $ 210 million, and the company’s initiatives in lean manufacturing contributed towards winning these accolades. Teejay’s Quality Circle Award presented by Sri Lanka Association for the Advancement of Quality and Productivity; being bestowed the Compliance Certificate at JASTECA Awards 2017; and being recognised at the Taiki Akimoto 5S Awards Competition 2017 were also contributory factors, the company said. The CNCI Achiever of Industrial Excellence Awards were presented after a close scrutiny of multiple areas including turnover, value addition, productivity, employment statistics and welfare of employees, statutory responsibility, corporate planning, research and development, quality assurance, environment responsibility, social responsibility, and industrial and occupational health and safety measures. This is the 17th consecutive year in which CNCI, a pioneer industry chamber in the country, has organised an award ceremony of this nature. The award winners are selected by a panel of reputed judges and are widely regarded as a benchmark of industrial excellence. One of the region’s largest textile manufacturers, Teejay supplies fabric to some of the best international brands across the world. Teejay Lanka PLC is a public quoted company with 39% public ownership. The company is backed by Sri Lanka’s largest apparel exporter, Brandix Lanka which has a 33% stake and Pacific Textiles of Hong Kong which owns 28% of the company. An ISO 9001:2015, ISO 14001:2015 and OHSAS 18001:2007 compliant company and the first in the industry to develop green fabric, Teejay has been listed on the Colombo Stock Exchange (CSE) since 2011 and was included in the S&P Top 20 Index in Sri Lanka last year. The company has also been named among the Forbes ‘200 Best under a Billion in Asia’ and been recognised as the ‘International Textile Firm of the Year’ and the ‘International Dyer and Finisher’ by World Textile Institute, London.